Your prayers have been answered! The Plus sized Monk costume has descended from yon high to help you bring a little righteousness fury to the heathens this Halloween. 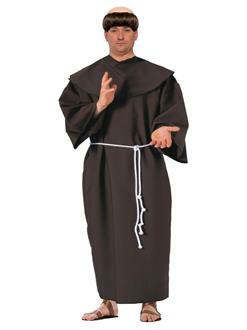 This outfit comes with the brown robe, wig, capelet, and a simple belt. Spread the good word with an outfit that’s worthy of the pious.